The ultimate attraction is the emerald green surf of the Gulf of Mexico, bordered by Destin beaches of sugar white sand from Destin eastward through the 14 beach communities of the Beaches of South Walton! Complimenting our stunning beaches, are endless water sports to include fishing, snorkeling, scuba diving, parasailing, and all types of boating. Varied attractions for vacation fun include golf, shopping, water parks, along with arts and entertainment attractions. Every type of relaxing activity is available in Destin, from gently strolling through a scenic state park to whipping around in a go-cart or whisking down a giant waterslide. Take a beach break and have all the fun possible at various attractions for all ages. You may also hike and bike through state parks and hundreds of acres of forests with some of the most breathtaking views in Walton County, just to Destin's east. With more than 40 percent of Walton County's total acreage dedicated to preservation, hikers and bicyclists can enjoy a scenic and enchanting trip exploring more than 200 miles of trails. 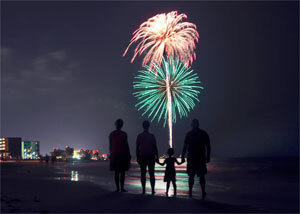 For information on state parks in the area, please visit www.FloridaStateParks.org. Beaches of South Walton is home to 17 of the most unique and rare of nature's wonders, coastal dune lakes. Although separated from the Gulf by dunes, these lakes will create a passageway through to the Gulf many times during the year. This allows fresh and saltwater to exchange and create some of the most distinct ecosystems in the world, harboring many different marine species. These lakes provide a scenic natural escape to enjoy kayaking, canoeing, and fishing. To view more activities in the Destin Area, please click on any of the links along the right or visit the Emerald Coast Convention & Visitors Bureau website.